The Presidency of Religious Affairs was established to provide three fundamental services: to guide the overseas Turkish population in religious matters; to promote cooperation among Muslim countries and Muslim minorities in religious services and education; and to provide social support to those in need, regardless of their religion, nationality or race. It provides these services with an incredible sense of vigor and enthusiasm, and has promoted religious education, religious services, and social and cultural events in over 100 countries across the world. The Presidency of Religious Affairs and its qualified, devoted staff is immensely proud of all that it’s achieved in those countries. In line with this mission and the growing Turkish population in the United States of America, the now-deceased Washington Embassy’s Religious and Social Services Counsel, Dr. Abdulbaki Keskin (may he rest in peace), took the initiative to purchase a plot of roughly 17 acres in 1993 with a view to meeting the religious, social and cultural needs of that Turkish population. This was the first step on a journey which would eventually witness the building of a mosque and religious center on the land which Keskin bought. In 2008, it was decided to implement a project in which the religious, cultural, and artistic organizations would be organized and which would reflect not only the Turkish society in America but also the timeless wisdom inherent in their culture in consequence of the valuable guidance and intimations by H.E. Prime Minister Recep Tayyip Erdogan. The main center was founded in May, 2013 by H.E. Prime Minister Erdogan and the President of Religious Affairs, Prof. Dr. Mehmet Gormez. Building a complex so as to include a mosque, school, soup kitchen, hospital, Turkish bath, cultural center and more to meet religious, social and economical need of the public and organizing them as a ‘Kulliye’ constitutes the very basis of the traditional Islamic city. The Diyanet Center of America (Amerika Diyanet Merkezi) was formed in accordance with this basic principle. The complex features a mosque in the classical Ottoman architectural features, a museum, exhibition halls, a Turkish bath, a guest house, a school, an art gallery and 10 traditional Turkish homes. The center is important both in terms of meeting the needs of the community and representing our cultural heritage. It was built with a combination of traditional Turkish architecture and American know-how, and is a source of price to our country, as it brings a richness to American culture and civilization. In the Kulliye, the mosque is accepted as the central theme, and the buildings were constructed in accordance with their original forms. Moreover, the structures were supposed to be places where the social life and the cultural heritage are reflected as well. Not to ignore the importance of convenience, its location is also served by the local Washington Subway system. The area in which the Diyanet Center of America has been established hosts a significant Muslim population. In addition to a Mormon church, theres is also a Sikh temple nearby, which points to an attitude of tolerance towards the rich religious diversity and personal differences between various religious communities. 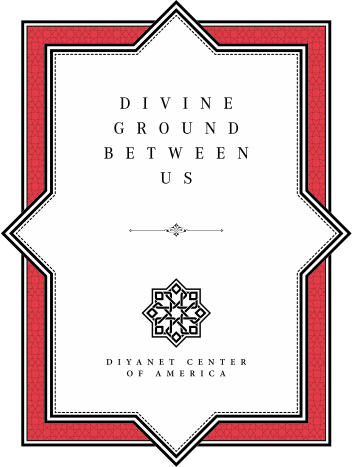 The Diyanet Center of America is proud to add to this wealth of diversity with its first-hand experience of our immense cultural legacy. For, our tradition is a manifestation of perennial wisdom filtered through the lens of the centuries, the core of which is beyond definitions. In handing down this tradition from one generation to the next, one of the most important missions is sharing our art, especially architecture, not just among ourselves, but with the rest of the world. Construction of the center was carried out under the supervision of Dr. Yasar Colak; the management and administration of the project was executed by Hassa Architecture as designed by Arch, Muharrem Hilmi Senalp and by the consultancy of Mustafa Iskender, while AD&C Management Co. and Balfour Beatty handled installation and basic construction. Stone, marble, wood, and tiles manufactured by Turkish artisans and craftsmen were brought from Turkey to be used during the construction, and the calligraphy pieces embellishing the center are prepared by our renowned traditional calligrapher Huseyin Kutlu.